Here They Come… Again. 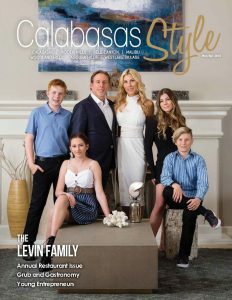 | Calabasas Style Magazine Here They Come… Again. As Dolly Parton once said, “Here you come again.” That’s right; it’s summer again and here come the kids, home for summer vacation. We are all happy about that, right? I mean, after all, we love the kids. But now, your nine-month respite is over and it’s time to figure out how to entertain them. Fortunately, you have many tech options to keep them active. Here are a few. The Disk Jock-e resembles a Frisbee. 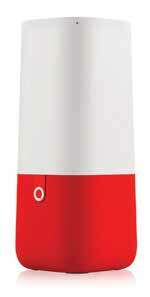 It has a built-in Bluetooth speaker and will sync with your mobile devices. The manufacturer says it is water resistant with a range of around 105 feet. It charges with a USB cord and will last about three hours before needing to be recharged. This might be one of the coolest tech toys ever. It’s not available yet but hopefully soon; it’s called the PowerRay. It’s an underwater drone designed for fisherman to locate the best areas for fishing. It comes with an attachment that helps you bait in the best area. Equally cool will be the ability to watch the glory of the sea, without getting wet. No pricing yet, but expect it to be expensive. If you have a baby but are unable to go outside and enjoy summer while your baby sleeps, Aristotle is for you. It’s a baby monitoring system that comes from Mattel. It’s a voice activated speaker, much like Alexa. It will stream video to your phone via an app. You can program it to auto-soothe your baby when she or he cries. It has the ability to recognize when a baby is crying and, based on your command, will automatically turn on a soothing sound and a soft night light. Additionally, as children grow, the Aristotle will help them learn. They can ask it questions which will help them with their learning and school work. It also reads stories to them, helping to keep kids occupied while you’re drinking a martini poolside. Let’s not forget about our favorite children: our pets. Wonder what your pets are doing while you are out of the house? Say hello to the Petzi Treat Cam. 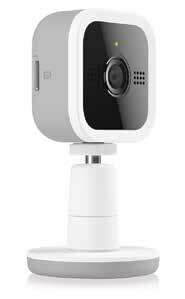 It is a WiFi-connected pet camera and remote treat dispenser. You can chat with your pet, snap a picture, and give them a treat all at the same time. The PetChaz HD includes live streaming video and person-to-pet communication. It even includes a soothing scent dispenser and allows your pet to call you via the PawCall button; yes, I did just say that. It’s relatively expensive at $379, but who is more important than your pets? Oh right, your kids. Lastly, if you want to stay in shape during bikini season and happen to have an extra $12,500, get the 85-foot, inflatable military obstacle course. It includes a high-rope swing hill climb, portholes, and more. It’s available at Hammacher Schlemmer. Enjoy your summer. If you need a therapist to help you get through the next few months with the kids at home, contact me. My daughter is a great therapist (blatant plug).